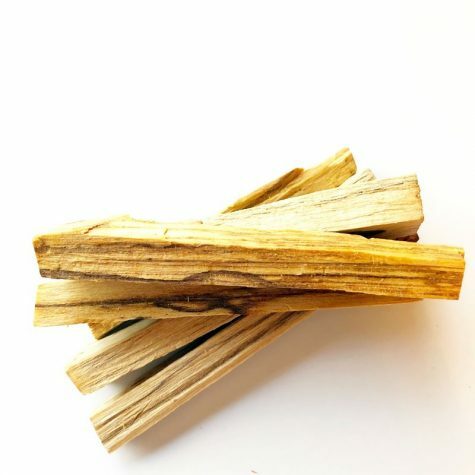 Raw Selenite sticks! 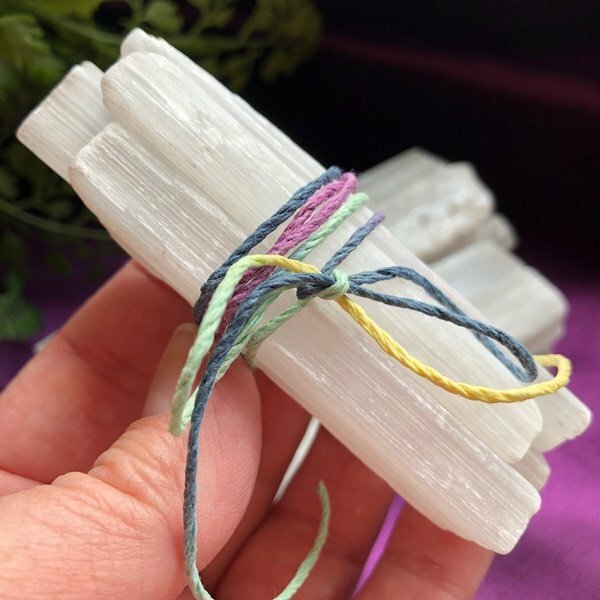 These pieces are natural Selenite sticks that are bundled together for space clearing your home or office, setting grids, or sharing as gifts. 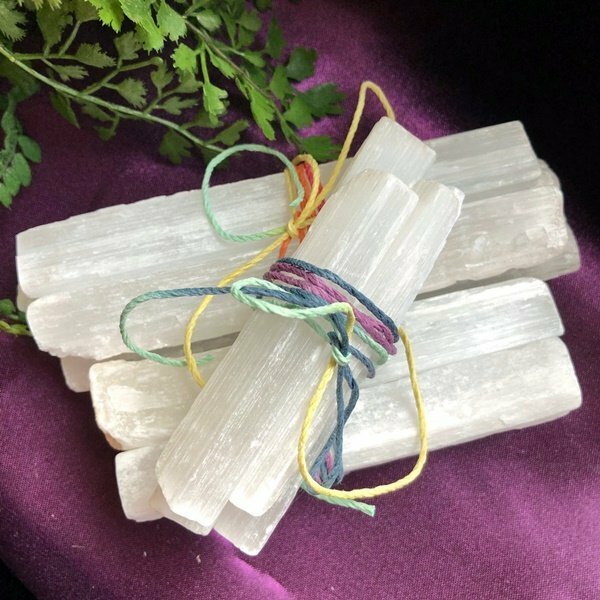 Selenite is a stone that is all about clearing the energetic space you live or work in with light and intention! It is deeply cleansing, especially for emotions, energy, and our homes. It is a stone of transformation for our energetic body as well, as it helps organize light coming in to body and makes it easier for cells to align with the Light of God. It’s a great crown chakra opener. 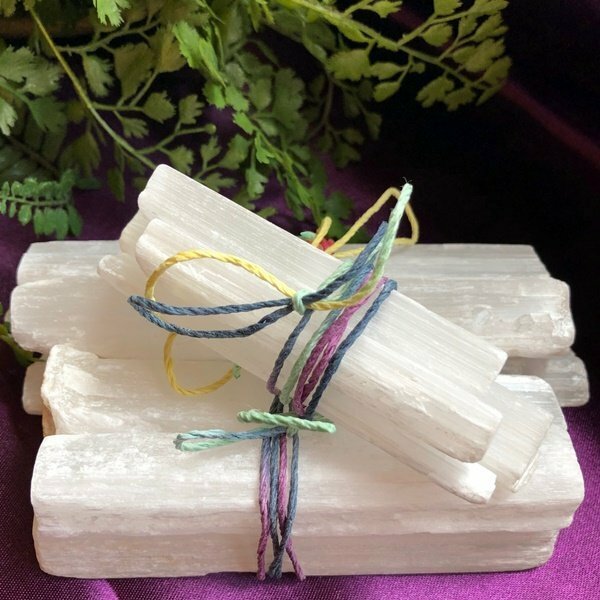 Selenite is considered a self-clearing stone, as it never ‘absorbs’ other energy, and can be used to clear other stones, spaces, your energy, etc. It is a very calming palm stone to hold during meditation! (Though be aware that raw Selenite has natural ‘slivers’ that can hurt if they stab your fingers/hands. Stones are roughly 3.5″ x 1″ in size.